*I received a free digital ARC of this title via NetGalley and Andrews McMeel Publishing in exchange for an honest review. Wow. What a charming, sweet, and understated graphic novel. Mostly illustration, not a ton of text, the beauty of Soppy is in its subtleties. The illustration is deceptively simple in technique, and only three colors are used: black, white, and red. Even so, Soppy packs a major emotional punch. 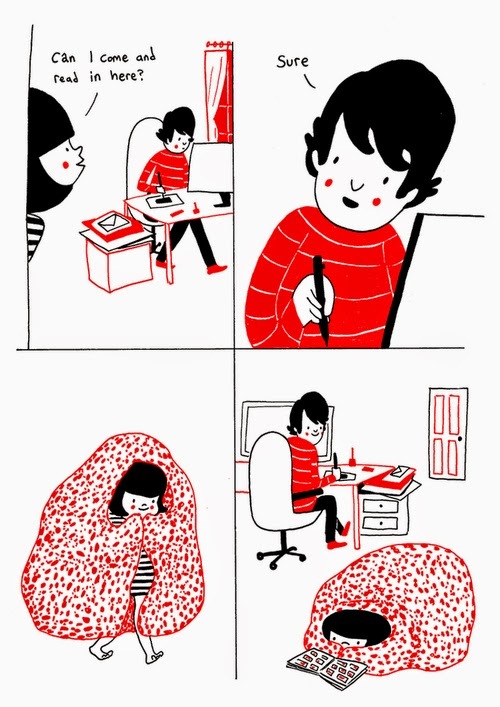 Viewing the comic from the standpoint of being in a long-term, loving relationship, I find the content completely endearing. Rice depicts the tender, everyday, and sometimes under-appreciated moments between lovers. 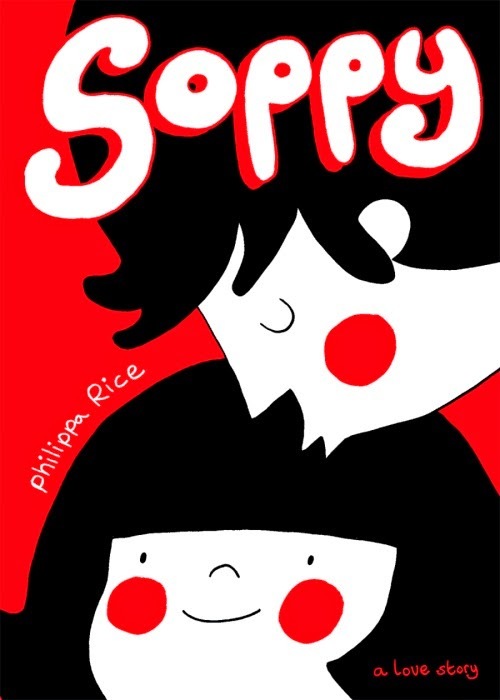 Having never read anything of Rice's before (even though she's kind of a big deal on Tumblr, apparently), I did not have any major expectations going in, and because I didn't have advanced knowledge of her work, I think I was able to enjoy Soppy all the more. It turned out to be such a delicious surprise. I fully intend on purchasing a physical copy to add to my graphic novels shelf.